Sulston's Nobel in physiology or medicine came in 2002 for painstaking observation of the development of every one of the thousand-odd cells of a nematode, C. elegans, a worm only a fraction of an inch in length. John Sulston's work is said to have applications to human disease, including cancer. John Sulston, a scientist who won the Nobel Prize for work on one of the lowliest of nature's creatures, which provided insights into the genetic processes by which human beings develop, and who also led the British effort to decode the human genome, died March 6 at 75. The Wellcome Sanger Institute, which succeeded a genome research organization that Dr. Sulston founded, confirmed to The Associated Press that he had died but did not provide other details. 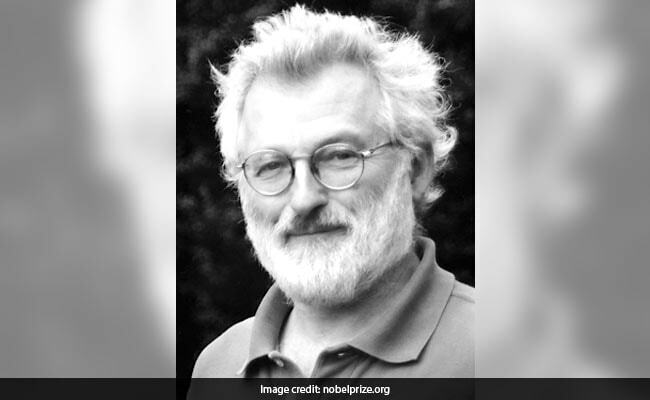 Sulston's Nobel in physiology or medicine came in 2002 for painstaking observation of the development of every one of the thousand-odd cells of a nematode, C. elegans, a worm only a fraction of an inch in length. His research allowed him to observe the operation of genes, as cells are created and die off. He shared his Nobel Prize with Sydney Brenner and H. Robert Horvitz for "their discoveries concerning genetic regulation of organ development and programmed cell death." Sulston's research was a prodigious single-handed effort, requiring long and lonely hours peering through a special microscope. His work is said to have applications to human disease, including cancer. It has become common, particularly in science and biotechnology, to describe the work of many modern biologists and biochemists as involving gene sequencing; the sequencing can be regarded as decoding the messages and instructions carried by DNA. DNA is composed of strings of individual chemical units known as nucleotides, and their order, just as the order of letters in a word, or words in a sentence, represents the information necessary for the creation of life. Devoted to laboratory work as he had been for many years, Sulston remained off the field of combat over the applications of science and of how major research enterprises should be conducted. He strongly favored making scientific findings available to the public, for the common good, rather than see them as the property of profit-making corporations. "He had a burning and unrelenting commitment to making genome data open to all without restriction and his leadership in this regard is in large part responsible for the free access now enjoyed," Mike Stratton, the Wellcome Sanger Institute's director, said, according to the AP. John Edward Sulston was born March 27, 1942, in Cambridge, England. His father was an Anglican priest. As a child, he possessed skills and inclinations that would serve well in many occupations, as well as in experimental or observational science. "As far back as I remember, and earlier," he said in an autobiographical sketch for the Nobel Prize website, "I was an artisan, a maker and doer." Losing his religious faith while as student, as might be expected, caused his father distress. But Sulston showed a psychological and intellectual self-reliance. "I had had to choose between my judgement and my father," he wrote. After graduating from the University of Cambridge in 1963, he stayed on to study chemistry as a graduate student, receiving a doctorate in 1966. He then pursued postdoctoral studies at the Salk Institute in San Diego, followed by a return to Cambridge, where he began work on the nematode. "Quite by chance," he said, he "began to watch the cell divisions unfold. For a decade I became essentially a pure zoologist, and with several colleagues worked out the entire cell lineage." Tracing that lineage to its start in the embryo was a key accomplishment for him, he said, and helped set his feet on the road to Stockholm. By 1982, he had succeeded in mapping and eventually sequencing the worm's DNA. The Wellcome Trust built a laboratory in Cambridge, where Sulston was director from 1992 to 2000. In the late 1990s, Sulston had to step away from the laboratory to fend off efforts by the Celera Corp., then headed by U.S. scientist J. Craig Venter, to take over the project and turn it into a private, profit-making venture. "Having to deal with this extraordinary dispute, at what turned out to be a moderately unpleasant level of public acrimony, was quite a shock," Sulston wrote. He said it seemed obvious, as a moral and practical matter, that the genome - although not necessarily inventions springing from it - should not become the property of private investors. "The only thing I have retained from my upbringing - I did not retain the religious element," he said in 2000, "is the idea that you do not do things for money." Survivors include his wife, the former Daphne Bate, and two children.